"The lack of any way to enforce it," Jean Maneke, a First Amendment attorney said, when asked what the law's biggest shortcoming was. "I say that even though the law does have enforcement provisions in it, but it is a very difficult law to enforce." Maneke has served as a consulting attorney for the Missouri Press Association since 1992. She also consults lawmakers when they propose changes to the sunshine law. The law was passed originally in the 1970s and revamped in the '90s. In addition to the records requirements, it also limits when meetings can be closed to the public. Maneke says the law does a poor job of encouraging agencies to be transparent. The law can impose fines on agencies that don’t follow the sunshine law, but that can be problematic. A fine might be a good incentive for a small agency, but may not motivate a large one. She says she’s not sure how to make enforcing the law easier, but that higher fines might not be the answer. Missouri's law says that the government has three days to produce records after a request is made -- unless there's a good reason they can't. But in practice, the government often disregards the timeline. In fact, Gov. 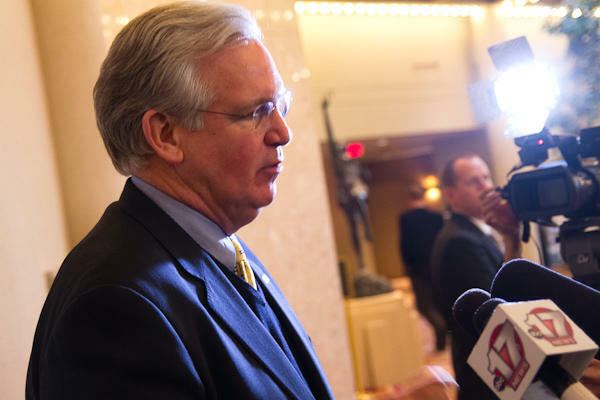 Jay Nixon's office has gone far beyond the three-day limit in fulfilling one of our still pending sunshine requests. They've gone 60 days without producing a single record. We reported in December about the secrecy surrounding Missouri's execution drug source and how the pharmacy was not licensed to sell in the state at the time. We later reported that a state official was driving several hours out of state with more than $11,000 in cash to pay the pharmacy. Ultimately, the director of corrections reports to the governor. So in mid-January, we asked the governor's staff for all records of communication between them and the Department of Corrections. The governor's office has delayed the deadline three times and stopped responding to emails about the open records request at one point. After we informed Nixon's office that we would be publishing a story about its delays, his press secretary, Scott Holste, said late Monday that the records were on their way. We did a similar records request in November. The governor's office didn’t give us those documents until our lawyer sent a letter. Members of the press whose open records requests are disregarded have a few options. "It depends on how much money they have available to them," Maneke said. If an outlet hires an attorney, "sometimes that gets a little bit higher attention level." The other option is to go public. We currently have several outstanding sunshine requests with the Department of Corrections as well. Like the governor’s office, DOC officials stopped responding to our emails at one point. But once we mentioned that we would be publishing a story about the sunshine law and mentioning their delays, a Corrections official responded with some (but not all) of the documents. As a Missouri state senator in the 1980s, and then as Missouri attorney general, Nixon played a major role in developing – and enforcing – Missouri’s sunshine law. In 2007, Nixon appointed a special investigative team to look into allegations that then-Gov. Matt Blunt, a Republican, had allowed his staff to destroy internal emails in violation of the state’s open records laws, which required that office communications be archived for at least three years. Blunt and his staff also acknowledged using private email accounts for some office business. Blunt denied any wrongdoing but did fire then-chief of staff Ed Martin. Martin, now the state’s Republican Party chairman, had been accused of firing a lawyer in the governor’s office over the open-records issue. The lawyer, Scott Eckersley, had contended that communications were being improperly destroyed. Eckersley then sued Martin and others. In the settlement, reached when Nixon became governor, no one acknowledged wrongdoing, but Eckersley did receive $500,000. Nixon then announced he was putting in place procedures to make sure that emails and internal communications were handled properly. 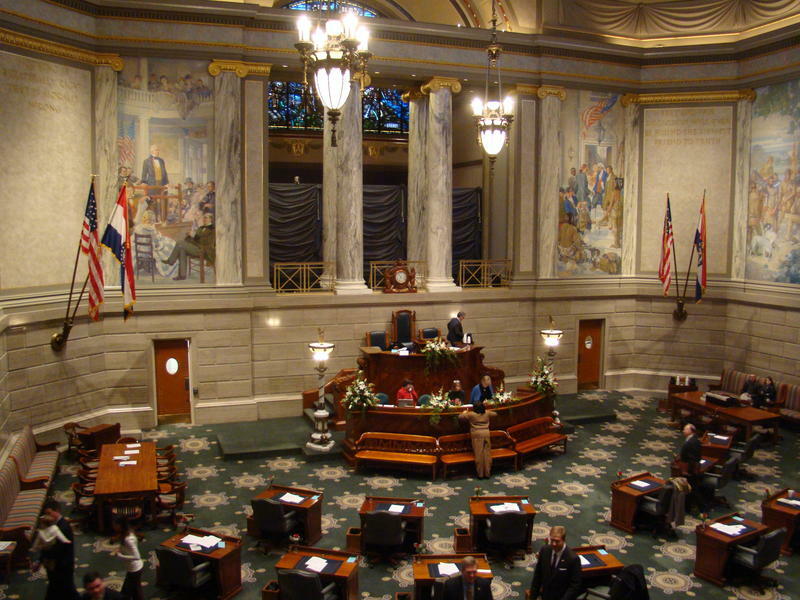 The Missouri legislature has faced criticism for how it handles open records requests as well. The state legislature says that individual lawmakers aren't subject to the sunshine law. It's something state Auditor Tom Schweich, a Republican, has reprimanded them for in past audits. Schweich recently received a Sunshine Hero award for supporting open government. A bill sponsored by Rep. John Mayfield, D-Kansas City, would clarify that lawmakers are, in fact, subject to the sunshine law. State Sen. Kurt Schaefer, a Republican, has proposed subtle changes to the sunshine law. Currently, complaints that officials violated sunshine law have to prove that they did so knowingly. Schaefer's bill would change that. Maneke said she's worked with him on the bill. "[Open government] is just the foundation of basic good government," Maneke said. "We were founded on an important belief that the public needs to know what's going on in government. It prevents corruption." Running afoul of Missouri's open government laws could carry a smaller financial penalty but no longer require proof the law was knowingly broken under legislation before a Senate committee. 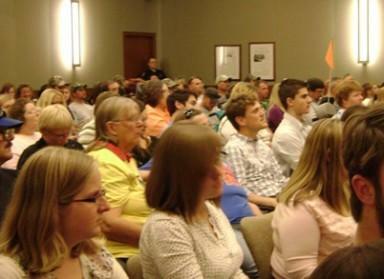 Missouri's Senate has endorsed an overhaul of the state's open meetings and records law, commonly called the Sunshine Law. Gov. 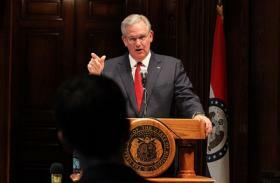 Jay Nixon is urging renewal of exemptions from Missouri's open records law for security systems of government buildings and policies for responding to terrorism. The exemptions protecting such information from disclosure expired at the end of 2012. Nixon has scheduled news conferences on the topic today at the University of Missouri-St. Louis and the Missouri State Highway Patrol General Headquarters in Jefferson City. Law enforcement and public school district officials are scheduled to take part.